Some people are susceptible to gum disease (gingivitis), or perhaps more importantly, bone disease (periodontitis), and thus lose a greater amount of bone in a shorter time than do other people. Our initial examination process evaluates the current risk level by measuring for inflammation around the gum of each tooth, assessing for loosening of the teeth, and viewing of the bone level, which is seen on dental x-rays. If someone has a large home, and it has not been cleaned in many years, it would take longer to clean than a small home with regular cleaning service (one could also apply this to dental maintenance other than just cleaning). The selective elimination would therefore reduce this risk category, making the outcome of treatment more predictable. 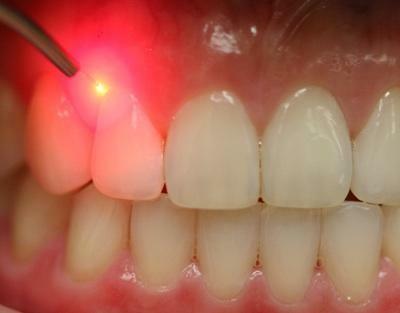 Reducing a person's risk level is the goal, and it may be achieved by initial therapy, antibiotic treatment, increased frequency of maintenance, and sometimes elimination of the selected at risk teeth.